In November 2007, an Australian forestry investment firm has partnered with the Sabah state Government in Malaysia to create financial instruments for producers of palm oil to participate in the conservation of forests. Sydney-based New Forests and the state of Sabah, in east Malaysia, will help protect about 34,000 hectares in the Malua Forest Reserve, which is home to groups of orang utan, Sumatran rhinos and clouded leopards. Sabah will invest about $US10 million ($A11.4 million) in New Forests, which will then sell biodiversity credits in the protected Malua site on the island of Borneo, while the Malaysian federal Government retains ownership of the forest. Similar to carbon credits, which create a financial incentive to reduce greenhouse gases, biodiversity credits are tradeable securities that reward activities supporting conservation and the sustainable use of native ecosystems. It is the first time any Malaysian Government has entered into an agreement to deliver wildlife conservation on a commercial basis, New Forests said. 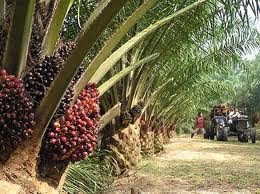 Its managing director David Brand said the biodiversity credits will be sold to palm oil producers, energy companies and other businesses involved in the production of biodiesel - a clean-burning fuel made from renewable sources such as palm oil. Mr Brand said the initiative was modelled on the US endangered species banking market, which allows the sale and purchase of endangered species credits to offset the negative impact of certain activities on those species and their habitats. “Palm oil companies can help protect rainforests, private investment can make a return from rainforest rehabilitation and conservation and the government can offer a solution to current concerns around oil palm plantations,” he said. Sabah’s neighbour, Indonesia, is the world’s largest producer of palm oil. Malaysia is expanding rapidly into the palm oil market, but most of the development has occurred in tropical rainforest areas, drawing the ire of environmental groups that claim it is contributing to global deforestation. The Malua Forest Reserve is an integral part of the Ulu Segama-Malua Forest Reserves, one of the largest and most ecologically diverse blocks of natural forest in Sabah. 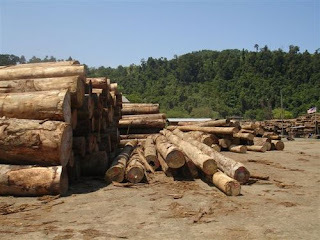 The Malaysian Government plans to terminate logging in the forest by the end of 2007 and support the future conservation management of the area for wildlife. kerajaan negeri Sabah bersungguh2 melindungi hutan2 di negeri ini untuk melindungi hidupan liar.. selain kerajaan, terdapat juga banyak NGO alam sekitar yang bergerak seiring dengan kerajaan dalam melindungi alam sekitar di Sabah.. The Malaysian Government plans to terminate logging in the forest by the end of 2007 is great for environment conservation. Malua Forest Reserve is one of the largest and most ecologically diverse blocks of natural forest in Sabah, our scientist should be able to discover something great from this diversity. Hope that our tropical rainforest areas will not be sacrificed for palm oil industries.